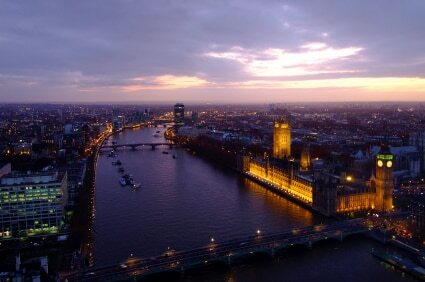 London remains one of the world's great cities. The United Kingdom's capital has everything — historic buildings and iconic sights that are known the world over, and in the last few years, futuristic skyscrapers and buildings from top international architects. London is changing rapidly with whole new areas being created, and others brought into the 21st century. The 2012 Olympic Games have created a new "town" around Stratford in East London, and beyond. After a centuries-long history as a global beacon of culture and commerce, London retains its distinction as one of the top cosmopolitan centers of the world, adopting and adapting and constantly renewing itself, making it an exciting and compelling place to visit. In the last few years, in preparation for the 2012 Olympic Games, London has seen a wave of new hotels openings, while others have been updated. The Savoy re-opened after a $200 million facelift and down by the river Corinthia emerged as a new flagship property in the former Metropole hotel. 45 Park Lane became the latest addition to the Dorchester Collection while St. Pancras Renaissance opened in grand Victorian style next to the Eurostar terminal. They join the ranks of the glamorous — The Ritz London, Claridge's, The Dorchester and the stunningly renovated The Connaught — along with chic, modern properties like One Aldwych. The Goring became London's most popular hotel after Kate Middleton spent the night there before her wedding to Prince William in 2011. Middle-range hotels scored with the new Park Plaza Westminster Bridge. The Zetter Townhouse in Clerkenwell and the Dean Street Townhouse in the middle of Soho offer the young and stylish crowd new possibilities, joining ultra trendy The Hoxton Shoreditch, which features value-priced rooms and an amazing, sporadic £1 room deal. The arrival of no-nonsense chains like Tune is great news, particularly as they are currently expanding fast. If you're using Eurostar, The Harlingford provides reasonable rates and is walking distance from St. Pancras International Station. In the East End, in former working class Hoxton and Shoreditch, the latest sought-after openings include Shoreditch House with its fabulous country-style rooms and access to the Shoreditch House rooftop club and lounge. The Boundary, featuring a gourmet restaurant, great café and rooftop bar, is just as popular. Avo is a small boutique hotel with top value rooms. Epitomizing London's march east, the Town Hall Hotel has opened in a former local government building in Hackney. History and culture have always been magnets for visitors, so begin with a British standard: a superior fry-up at Simpson's-in-the-Strand among breakfasting captains of industry. Or venture to the edges of the British Empire and go to the very fashionable, quirky Dishoom for a sausage naan roll. If you haven't been on the London Eye (a huge observation/Ferris wheel), try this first to give you an idea of the sprawling extent of the city! 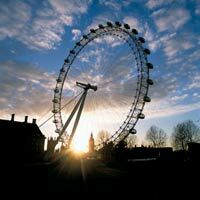 Work off your beakfast by walking over Waterloo Bridge to the South Bank. Then make your way back over Waterloo Bridge and through Trafalgar Square back to Piccadilly. Nothing as vulgar as public transportation goes past Buckingham Palace, so either stroll through Green Park or hail a taxi. The Palace is a relatively new royal addition, bought by George III in 1762 and finally finished in the 1850s. The rather pompous building with its red plush and gilt state rooms is only open to the public from late July to the end of September, but throughout the year the adjoining Queen's Gallery puts on superb exhibitions of works taken from one of the world's greatest private art collections. Nearby St. James's Park, the oldest of London's royal parks, is particularly attractive in summer. Westminster has always been the political as well as the royal heart of London, with Whitehall and the Houses of Parliament acting as the center of government. Parliament is open to the public in the summer months and on Saturdays throughout the year, and is well worth a visit. World War II was conducted from the subterranean depths of the Churchill Museum and Cabinet War Rooms where a remarkably human look at the great wartime leader brings the now strangely archaic war to life. The aristocracy who clustered around the monarch lived in and around St. James's — and its gentlemen's clubs and shops have changed little since they were patronized by the original 18th-century dandies. From the Tudor-style St. James's Palace, St. James's Street takes you past James Locke & Co, the hatters that made the plumed hat worn by the Duke of Wellington at the battle of Waterloo in 1812, and Berry Bros & Rudd, wine merchants to the wealthy and discerning, housed in a historic, dark wood-panelled setting. On Piccadilly, the illustrious Fortnum & Mason has supplied the royal family with its groceries since the 1770s. Today it also has a chic food hall and a cluster of wine bars and restaurants, including 1707 for the wine lover. Mayfair, running north-south from Oxford Street to Piccadilly and east-west from Regent Street to Park Lane, was built by six great families. Today Mayfair is a mix of homes and businesses, luxury hotels and foreign embassies. Its high street has always been Bond Street, known for classy designer shops and art galleries. Sotheby's continues to break records at its auctions, and has a very chic café inside. Detour into Brook Street for the charming Handel House Museum and the chance to photograph the blue plaque on number 24 next door, home to Jimi Hendrix from 1968 to 1969. Savile Row has resisted heavy competition from Hong Kong and is still the street for bespoke tailoring (the Prince of Wales gets his suits from Anderson & Sheppard). The Royal Academy puts on exhibitions that many public galleries would like to but lack the wherewithal, contacts and freedom of a private institution. For lunch, the smart all-day brasserie The Wolseley remains as popular as ever; seafood at its best is on offer at Bentley's Oyster Bar & Grill. After lunch, take the bus from Piccadilly past Harvey Nichols and Harrods (best seen at night when its terracotta façade is lit by thousands of light bulbs) to South Kensington where Queen Victoria's husband, Prince Albert, inspired the building of some of London's great 19th-century museums. The Science and Natural History Museums are world-class, but our favorite is the idiosyncratic treasure house of the Victoria & Albert Museum where you can spend hours wandering its endless corridors and galleries looking at the pick of the world's fine and applied arts. Take afternoon tea in the gardens of 17th-century Kensington Palace. Now refurbished, the palace has fabulous State Apartments full of furniture and paintings, and it's well adapted to children with different trails and activities. In contrast, the privately owned cutting-edge Saatchi Gallery puts on world-class and provocative exhibitions. You'll find it just by the fashionable shopping area of Duke of York's Square. For dinner, return to Mayfair and its surroundings. French offerings are found at Alain Ducasse at The Dorchester and Hélène Darroze at the Connaught. Near Trafalgar Square, the latest must-visit options include Les Deux Salons, a smart, grand brasserie, and Terroirs, serving great organic wines and superb food.